Robotic Process Automation (“RPA”) is the implementation of any capability (software or service) that automates the corporate functions of a business. Today, businesses the world over are undergoing a revolution in the form of implementation of RPA and Artificial Intelligence (“AI”). Tasks that were traditionally handled by human workforce can now be effectively and more efficiently handled by AI. Software based RPA can handle a plethora of complex but rule-based activities such as maintenance of records, queries, calculations and transactions. Also, most routine applications used by companies today can be operated by RPA instead of human operators. In summary, RPA is the way to go. RPA has the potential to transform the way business is conducted hereon. 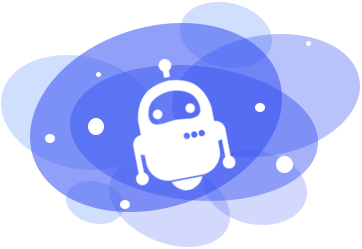 We at Prodat understand RPA and want you to take advantage of this path breaking technology to give your business the edge to grow exponentially. We will create optimal RPA solutions based on your business, industry and scale of operations. Our state of the art and futuristic RPA program PROBOT was developed in-house in and has been implemented across various businesses. 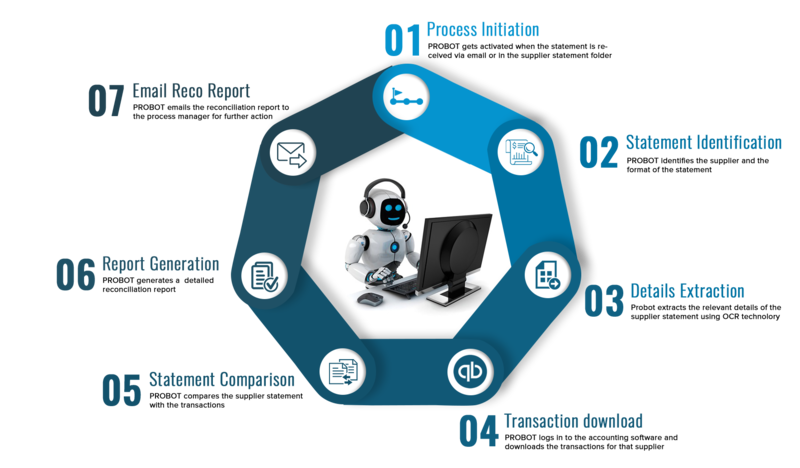 PROBOT is capable of automating numerous functions both, front end and back end, such as supplier reconciliation, VAT reconciliation, accounts payable reconciliation etc. 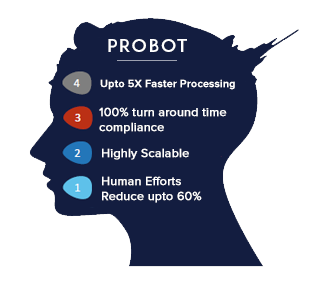 It is an agile digital system capable of interacting with humans and like humans, PROBOT is capable of improving and learning from prior decisions and user patterns giving it a learning curve just like a human being without the fatigue! It is capable of reducing human efforts by up to 60% and reducing operational expenditures by 20%. Stay ahead of the curve by digitizing your business processes today!